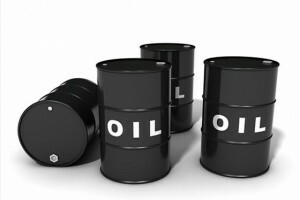 BANGKOK (AP) — The price of oil fell Monday as traders concerned about global energy demand took profits ahead of economic data from China and the United States.Benchmark oil for July delivery was down 58 cents to $93.67 per barrel at midday Bangkok time in electronic trading on the New York Mercantile Exchange. The contract fell 10 cents to $94.15 a barrel on Friday. Analysts said traders took profits before May unemployment data is released Tuesday in Washington, which should help clarify the state of the recovery in the world’s biggest economy.”We’re starting to build confidence in the economic data, but that’s not going to stop anyone from taking money off the table ahead of a long weekend,” Carl Larry of Oil Outlooks and Opinions said in a market commentary, referring to the Memorial Day holiday in the U.S. on Monday. The more closely watched official manufacturing survey is due Saturday, Wang said.Brent crude, a benchmark for many international oil varieties, fell 12 cents to $102.46 a barrel on the ICE Futures exchange in London. Wholesale gasoline fell 0.1 cent to $2.817 a gallon. Heating oil fell 0.6 cent to $2.851 a gallon. Natural gas fell 4.6 cents to $4.215 per 1,000 cubic feet. Plastic Madness – Will the World Ban the Plastic Bag?